University of Houston-Clear Lake is dedicated to securing the academic and career success of all its students – even those who enroll in one of our fantastic off-campus programs. You might not visit UHCL on a regular basis, but we still have your best interests at heart. We want you to flourish at UHCL! Where can I obtain my UHCL Student ID card? The Office of Online and Off-Campus Education Advisers schedule dates at the beginning of each semester to take student ID photos at most off-campus sites. Student ID cards are then mailed to students. Refer to your Advisor for specific site information. Students can order textbooks online from the UHCL Bookstore. Ordering online allows you to specify your delivery method, either shipped to you or held for in-store pickup. A confirmation email is sent when the order has been processed. Is tuition different for online, web-enhanced, and face-to-face courses? No. Tuition does not differ for online, web-enhanced or face-to-face courses. Do I need to go to the UHCL campus to apply for financial aid and loans? Visit the Office of Student Financial Aid for questions regarding student financial aid and loans. Do I need to go to the UHCL campus to apply for VA benefits? Visit the Capt. Wendell M. Wilson Office of Veteran's Service for questions regarding VA benefits. Does UHCL provide student services remotely such as counseling and tutoring? Yes. However, due privacy issues, some services may not be fully available online. For example, students requesting personal counseling may have to travel to the UHCL Counseling Services department to receive counseling services. Are Academic Advisers available to off-campus students? Yes. Academic advisers are available for off-campus students. Will I be able to have office hours with my instructor? Yes. Instructors have assigned office hours and students may meet with instructors during office hours or may schedule an appointment with the instructor. Students should check the course syllabus through Blackboard to view instructors' assigned office hours. Tuition payments may be made online through E-Services. Students will need to have a student ID number, password and credit card to pay for courses online. Library services are available online. Students have borrowing privileges and have access to library catalogs and online databases. Web-enhanced courses are face-to-face classes that may have between one and seven meetings replaced with Web activities. I have grievance with my instructor off-campus, who can direct me to solve my problem? Students should consult Student Life Policies Handbook for procedures on filing a grievance with an instructor. Are there services available for students with disabilities? Yes. Students may request assistance by contacting Disability Services. If I am enrolled in a UHCL on-campus class, can I attend any of the sections at the off-campus sites? No. Students not officially enrolled in an off-campus course may not attend an off-campus course sections. Can I meet with an adviser at an off-campus location? How do I obtain my candidate plan of study (CPS) if I am an off-campus student? Candidate Plans of Study are emailed to students via their UHCL Student Email Accounts; however students may obtain a copy of a Candidate Plan of Study (CPS) by contacting the appropriate Academic Adviser. 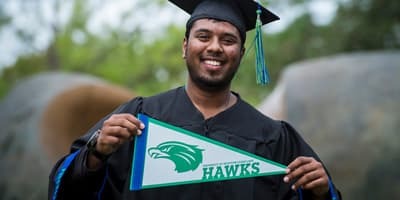 Can I obtain an entire degree at the TMC Campus without attending courses at the UHCL campus? The Bachelor of Science in Healthcare Administration degree may be completed through a combination of courses taken at the Texas Medical Center; online; or at UH-Clear Lake. Both MBA and MHA/MBA graduate program can be completed at the TMC Campus. Are computer labs available off-campus? Both Pearland Campus and TMC Campus provide computer labs. How much is parking at TMC and which parking Garage can I use to park? Information on parking at Texas Medical Center. Is there tuition reimbursement through my Medical Center Employer? 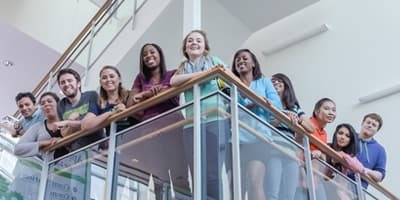 Many TMC employers provide tuition reimbursement for employees, however, you will need to contact your human resources department to determine whether you are eligible for tuition reimbursement through your employer. Read an e-book on career planning and job information. Use an online career exploration tool. Search for available jobs and post your resume on Jobs4Hawks. Download Cooperative Education information and forms. Find remote career appointments using Skype. Participate in free, online anonymous screenings for depression, anxiety, PTSD, bipolar disorder, eating disorders and alcohol abuse. Download self-help pamphlets on many topics. Use and download relaxation and mindfulness exercises to help reduce stress. Access the Student Life Policies Handbook. Find resources regarding plagiarism/correct documentation tips. Report if someone’s health or safety is at risk (CARE). Submit a complaint or question. Discover Title IX (Sexual Misconduct/Awareness) resources and Salutations training information. View the Drop/Withdrawal Checklist before dropping courses or withdrawing. Seek assistance in managing E-Services, class registration, transcript requests, and general university business functions. Download forms to initially register with the office. Request textbooks in alternative formats. Access Academic Blue – Blue Cross/Blue Shield Health Insurance information. Enroll for Student Health Insurance using a credit card or a check. Download the form for flu vaccines. View virtual pamphlets on many health topics. Have an online tutoring appointment – request one by calling 281-283-2460. Send feedback about a tutoring visit. Find Friends and Family Resources. Access resources for new students. View the calendar of upcoming events. Learn about becoming an Orientation Leader. Follow us on Twitter, Facebook, YouTube and Instagram. Register for first generation, women and LGBTQ+ programs and groups. Request that a student organization contact you. Student organizations, Student Government Association and Campus Activities Board events. Student organization contact form, Organization Recognition application and SGA forms. 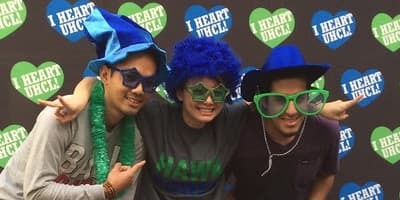 UHCL Day of Service and other Volunteer Opportunities. Student Leadership Conference and Leadership Retreat. Services and events offered by Campus Recreation. Student ID Cards and UHCL Courtesy Shuttle Bus. Join the CAB, SGA, and Student Life social media networks on Facebook, YouTube, Instagram and Twitter. Access issues of the university’s award-winning student newspaper, The Signal. View and schedule tutorial appointments. Attend online tutoring appointments for all supported subjects/classes. Make an appointment for face-to-face, phone, or online tutoring. Participate in synchronous chat tutoring. Download tip sheets, writing guides and PowerPoint presentations. Visit Current Students page for student links and information. Bookmark Campus Life for events information. Access information about and register for standardized tests such as the LSAT, MAT, Quick THEA, and THEA.